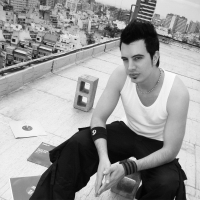 Austin V aka Sektor V (AgustÃ­n Viegas) is an Argentinean producer settled in Buenos Aires. During the past few years he has been working on the project worldwide known as â€œThr3sholdâ€, standing out for its killer sound supported for many artists like Armin Van Buuren,Simon Patterson, Sean tyas,John Askew & more with releases on some of the finest labels, including A State Of Trance, Tetsuo, Night Vision, Fraction, Nucleuz & Soundpiercing, among others. Austin V has already introduced his own style in tracks like â€œThe Cavemanâ€. At the same time, He is developing a new style baptized Metal Tech Trance that will revolutionize the dance floor with a particular sound created to innovate in the current trance scene.